Bailey metal ring is a versatile accessory that matches most everyday outfits and looks. 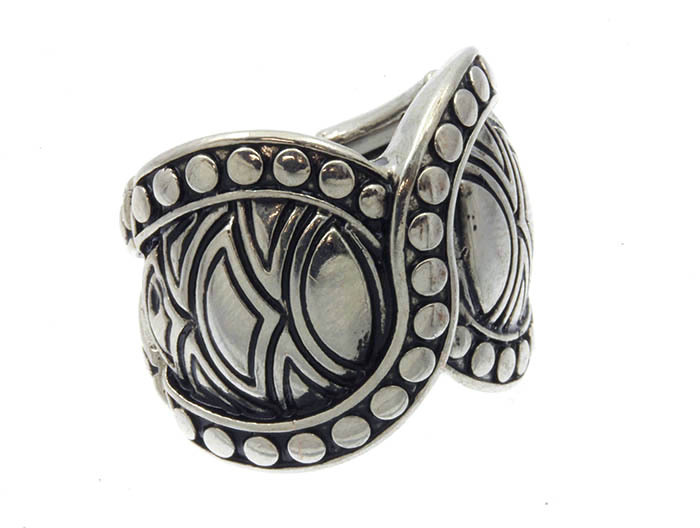 The ring features two equal parts with black pattern on silver surface. Silver dots go along the edge. Buy this 'must have' piece of costume jewellery online today at lowest price guaranteed.